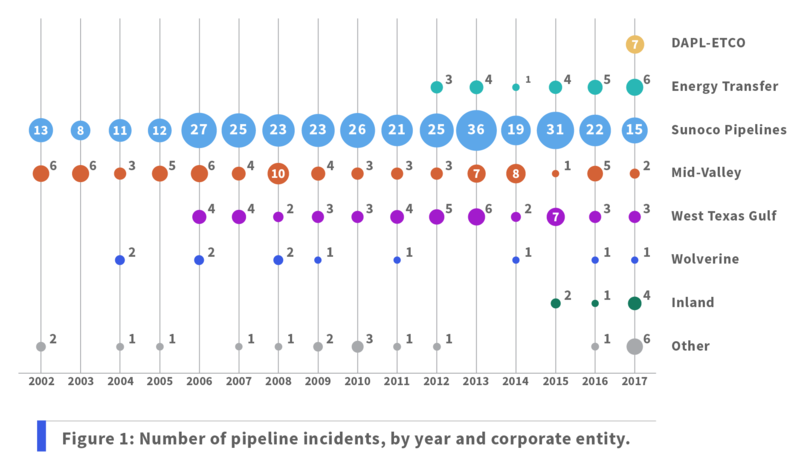 From 2002 to the end of 2017, ETP, Sunoco and their subsidiaries and joint ventures reported 527 hazardous liquids pipeline incidents to federal regulators — approximately one incident from existing facilities every eleven days. Of the hazardous liquid spills from existing facilities 101 incidents were of 50 barrels or more (2100 gallons, a volume which is considered “significant” by the federal regulator). The Dakota Access Pipeline (DAPL) and its southern component only began operations in 2017, but have already reported 7 incidents. There is no failsafe way to transport fossil fuels and pipeline spills remain a direct and seemingly unavoidable consequence of oil and gas activity. Rapid transition to renewable energy could dramatically reduce spills from pipelines and pollution of drinking water sources. Energy Transfer Partners and its complex network of subsidiaries and joint ventures owns one of the nation’s largest networks of natural gas, crude oil and petroleum products pipelines. Data collected from the U.S. Pipeline and Hazardous Materials Safety Administration (PHMSA) shows that the ETP family of hazardous liquids pipelines experienced 527 incidents from 2002 to the end of 2017, spilling ~87,000 barrels, and causing an estimated $115 million in property damage. We have mapped these incidents, spread across numerous states and regions in the U.S. where ETP operates. Energy Transfer Partners, L.P. (ETP) was founded in 1995 by Ray Davis and Kelcy Warren (who is still its current Chairman and CEO) and became a publicly traded partnership in 2004. ETP is in turn controlled by a master limited partnership called Energy Transfer Equity (ETE), of which Warren is also the Chairman. The company’s national profile was fairly small until the massive grassroots resistance to its Dakota Access Pipeline (DAPL) led by the Standing Rock Sioux Tribe was splashed across the headlines in 2016. That same year, Warren donated $100,000 to Donald Trump’s presidential campaign and later cut a check for $250,000 for Trump’s inauguration. Trump made the approval of DAPL’s final permits one of his administration’s first priorities upon becoming U.S. President. ETP’s corporate structure is famously complicated. In October 2012, ETP merged with Sunoco, Inc., a fuel refining, distribution and retail company that had been founded in 1886. Prior to the merger, ETP and ETE were primarily focused on the natural gas sector, and the merger with Sunoco allowed them to diversify into “liquids” pipelines due to Sunoco’s significant crude oil and refined petroleum product assets. Part of this business operated as Sunoco Logistics Partners (SXL) until it fully merged with ETP in April 2017. Sunoco LP (SUN) continues to exist as a downstream distributor of motor fuel. Currently three of these entities — ETP, ETE and SUN — are publicly traded on the New York Stock Exchange. The company also boasts a number of subsidiaries and joint ventures as part of its “family” which we have attempted to reflect in this report. Including both liquids and natural gas, ETP operates more than 71,000 miles of pipelines in the U.S. — nearly long enough to encircle the earth three times. The PHMSA database of all U.S. hazardous liquids pipeline incidents from 2002 to present contains 6,102 reported incidents. Of those incidents, 527 were associated with ETP, Sunoco, or one of their subsidiaries or joint ventures — a rate of one incident occurring approximately every eleven days. These 527 incidents released a total of 87,273 barrels of hazardous liquids, of which 66,515 barrels were crude oil, and led to over $115 million in property damages according to PHMSA’s records. Of the total volume spilled, 36,862 barrels (42%) were never recovered by the company. Since 2002, spills from ETP, Sunoco and subsidiaries led to proposed penalties of $5,675,870. Other reports have noted the company’s poor safety reputation, and have analyzed PHMSA data to conclude that ETP and Sunoco’s pipeline network is among the leakiest in the nation. In addition, Sunoco’s Pennsylvania refineries were subject to a comprehensive Clean Air Act settlement, that included a $3 million civil penalty and $285 million to install emissions controls. Figure 1 shows a timeline of the 527 liquids spills, broken down by corporate entity. 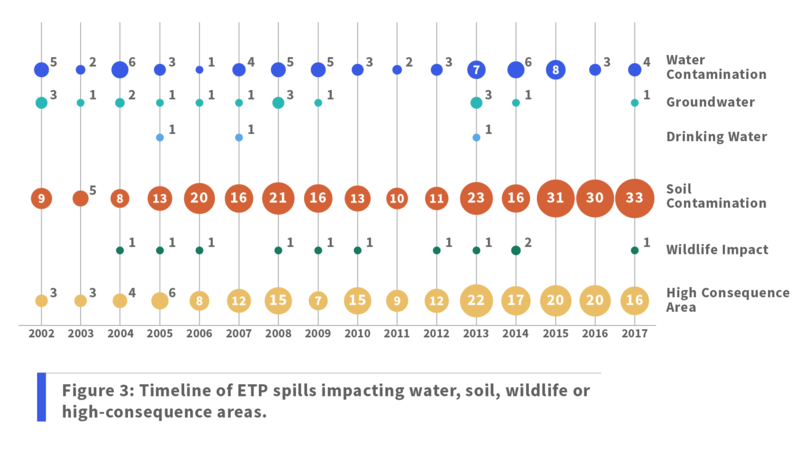 As can be seen from the figure, several entities in the ETP family have reported significant numbers of hazardous liquids pipeline spills, both before and after the 2012 merger. Sunoco Pipelines LP has reported 337 incidents since 2002. Also included are spills from joint ventures that Sunoco brought into the merger, notably the Mid-Valley Pipeline (76 incidents), the West Texas Gulf Pipeline (46 incidents), and the Wolverine Pipeline (11 incidents). We include all incidents from Sunoco and its subsidiaries and joint ventures in this analysis, both before and after 2012, because Sunoco brought most of the hazardous liquids assets into the merger and remains part of ETP’s current pipeline network. Energy Transfer has reported 23 hazardous liquids incidents, all occurring after the 2012 merger. The Dakota Access Pipeline (DAPL) and its southern component (ETCO) only began operations in 2017, but have already reported 7 incidents. For full details on the incident analysis, including more information on the subsidiaries and joint ventures that were included, see Appendix A: Research Methods. In January 2005, the Mid-Valley Pipeline (originally constructed in the 1950s) spilled 6,909 barrels (290,000 gallons) of crude oil into the Kentucky and Ohio Rivers, leading to an oil slick 17 miles long and harming hundreds of migratory birds. The federal government later reached a $2.57 million settlement with Sunoco. In November 2005, operator error led to a 10,380 barrel (436,000 gallon) crude oil overflow at Sunoco Pipeline LP’s Darby Creek Tank Farm in Sharon Hill, Pennsylvania. The spilled oil was contained by a dike, and PHMSA later fined Sunoco $150,000. In October 2008, the Mid-Valley Pipeline spilled again, this time releasing 3,650 barrels (153,000 gallons) into “the sanitary sewer system and nearby Gunpowder Creek” in Florence, Kentucky. In June 2009, a portion of the West Texas Gulf Pipeline near Colorado City, Texas caught fire and spilled 3,416 barrels (143,000 gallons) of crude oil. 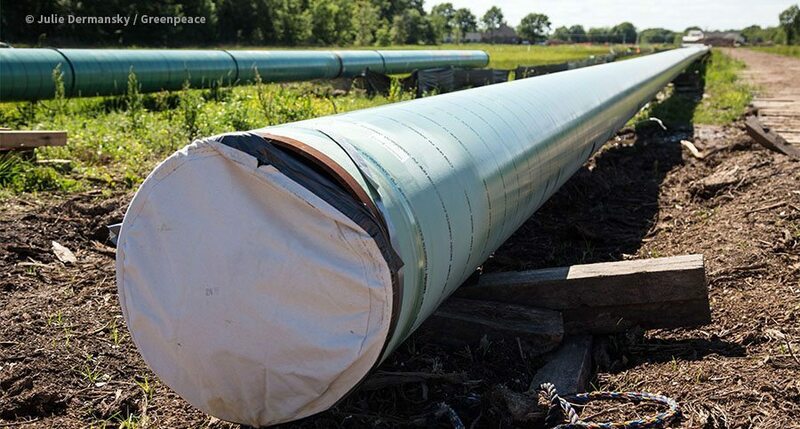 PHMSA later fined Sunoco Pipeline LP $415,000. In August 2009, Sunoco Pipelines spilled 2,500 barrels (105,000 gallons) of crude from a station near Mont Belvieu, Texas. The U.S. EPA eventually reached a $850,000 settlement for Clean Water Act violations related to this spill and a later 2011 spill of 1,742 barrels (73,000 gallons) in Cromwell, Oklahoma. 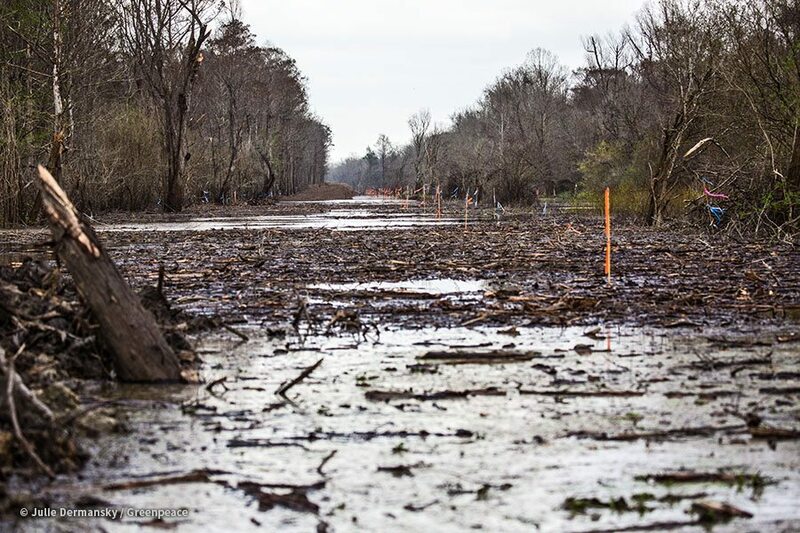 In October 2014, the Mid-Valley Pipeline experienced yet another major incident, spilling 4,509 barrels (189,000 gallons) and contaminating a ten-mile section of Tete Bayou near Mooringsport, Louisiana. In June 2015, a “gasket failure” on the West Texas Gulf Pipeline near Wortham, Texas led to a release of 3,300 barrels (139,000 gallons) of crude that was contained in two retention ponds on company property. In August and September 2016, Sunoco’s Permian II Express pipeline leaked 8,600 barrels (361,000 gallons) near Sweetwater, Texas. The incident led to a Corrective Action Order, and followed a fine from federal regulators for welding violations on the same project. 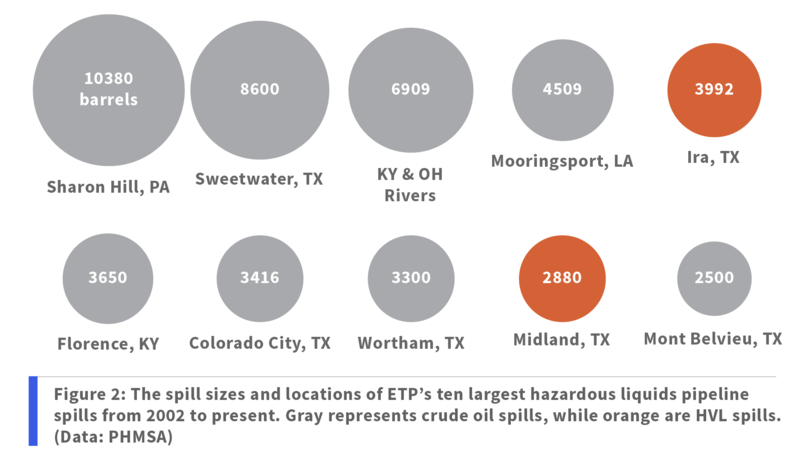 In addition to crude oil spills, ETP pipelines suffered large spills of highly-volatile liquids (HVL) of 2,880 barrels (121,000 gallons) in 2012 near Midland, Texas and 3,992 barrels (168,000 gallons) in 2014 near Ira, Texas. 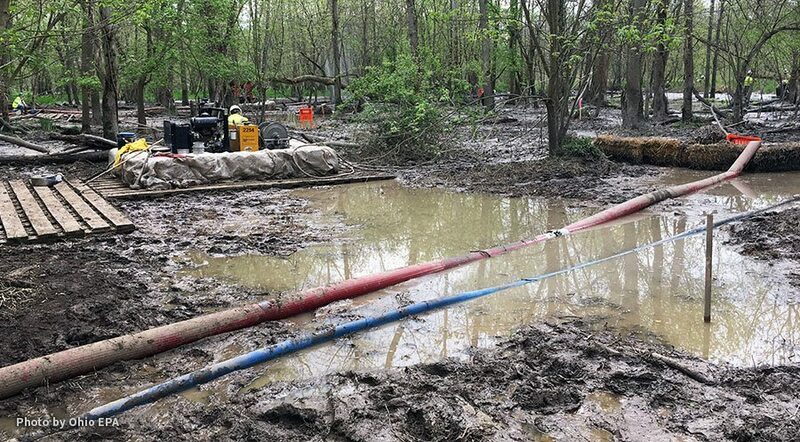 Further details on other ETP/Sunoco pipeline incidents can be found in a report by Waterkeeper Alliance, including information on worker lawsuits, failure to report problems, and additional significant pipeline incidents in Pennsylvania, Ohio, and Texas. Although it is not the main focus on this report, PHMSA also maintains data regarding ruptures and leaks from natural gas gathering, transmission and distribution pipelines. ETP and its subsidiaries reported 58 natural gas incidents to PHMSA from 2002 to present. Natural gas pipeline leaks present a different range of risks from hazardous liquids leaks, including the risk of an explosion. Methane leaking from the U.S.’s rapidly growing natural gas infrastructure is also a significant climate change risk. The Bakken Pipeline consists of the 1,172 mile, 30-inch diameter Dakota Access Pipeline (DAPL), which runs from the Bakken oil fields in North Dakota to a hub in Patoka, Illinois, and the Energy Transfer Crude Oil Pipeline (ETCO), which runs 743 miles south from Patoka to Nederland, Texas. The DAPL segment was built across Sioux lands designated under the 1851 Fort Laramie Treaty and crosses the Missouri River near Lake Oahe, just north of the Standing Rock Reservation. The project is a joint venture between ETP, MarEn Bakken Company LLC (Enbridge) and Phillips 66, with ETP holding a 38.25% interest. Violations of Indigenous sovereignty, lack of adequate consultation and threats to water supplies from pipeline spills led Indigenous Water Protectors and their allies to set-up pipeline opposition camps near the river crossing. The organized pipeline opposition and the disproportional response from authorities and private security forces garnered international media attention, leading the Army Corps of Engineers to deny the needed permits in December 2016. However, the Trump Administration approved the permits and DAPL went into operation in June 2017. Evidence suggests that environmental racism may have played a part in selecting the pipeline route. The 2015 Environmental Assessment discussed an alternate route that was rejected in part due to concerns about contamination of “wellhead sourcewater protection areas” north of Bismarck, North Dakota (a mostly white community). Yet the approval of the route passing near the reservation led the Standing Rock Sioux Tribe to file a lawsuit alleging violations of the National Historic Preservation Act, the Clean Water Act, and the National Environmental Policy Act. In addition to the risk of pipeline spills into water, the EA identified impacts from horizontal directional drilling (HDD) used to tunnel the pipeline under rivers, including the risk of “inadvertent release of drilling fluid directly or indirectly into the waterbody” — a risk that has been realized during the construction phases of other ETP/Sunoco projects. Although the pipeline only became fully operational in 2017, DAPL-ETCO has already reported 7 pipeline incidents to PHMSA, of which 4 occurred along the DAPL portion, and the largest of which was a significant 119 barrel (4,998 gallon) spill from the ETCO segment near Dyersburg, Tennessee. A related eighth incident occurred in March 2017 on a DAPL feeder line owned by Caliber Midstream, but is not included in this analysis. Assuming the U.S. system-wide rate for significant crude oil spills of 0.001 per year per mile, we estimate that the Bakken Pipeline would suffer 96 significant spills during a 50-year nominal lifetime. Failures to inspect crossings under waterways, valves and pipeline rights of way. Failures to notify PHMSA of a spill, fire, injuries requiring hospitalization. Failure to repair unsafe pipe for 5 years. Failures to maintain pipeline integrity in high consequence areas. Failure to report unsafe conditions. Failure to do corrosion inspection. Repeated failures to properly notify emergency responders and the public. Depending on their characteristics, oil spills can cause significant acute and chronic impacts on ecosystems ranging over “a range of time scales, from days to years, or even decades for certain spills.” PHMSA collects information on whether pipeline spills have contaminated soil or water resources, impacted wildlife, or occurred in “high-consequence areas” (HCAs) such as population centers or navigable waterways (see Figure 3). 67 incidents (12.7%) were reported to have contaminated water resources. Across the entire PHMSA database, 615 incidents (10.0%) contaminated water resources. Of those incidents, 18 incidents (3.4%) were found to contaminate groundwater. Nationally, there were 207 pipeline spills contaminating groundwater (3.4%). And 3 incidents (0.6%) were found to contaminate drinking water resources specifically. Nationally, there were 8 total incidents (0.1%) contaminating drinking water. 275 incidents (52.5%) contaminated soils. From 2010-present, there were 6 incidents that impacted wildlife. One of these was a spill of 450 barrels in March 2014, from the Mid-Valley Pipeline, that contaminated the Oak Glen Nature Preserve near Colerain, Ohio, closing the preserve and leaving at least 36 animals in need of treatment for contamination. From 2002 to 2009, there were 3 incidents that impacted fish and 2 incidents that impacted birds. In addition to past spills from existing pipelines, ETP/Sunoco pipeline projects currently under development have been plagued with environmental violations. The construction of the Mariner and Rover pipelines in Michigan, Ohio, Pennsylvania and West Virginia has resulted in over 2.4 million gallons of spills, over 100 notices of violations and other non-compliance issues, and 6 stop work orders. These new pipelines have faced growing resistance from local communities and decision makers concerned about the long history of non-compliance and pollution of drinking water sources, trout streams, wetlands and rivers. With that restriction, FERC approved the project in February 2017, and Energy Transfer began an aggressive effort to construct the pipeline as quickly as possible. In its haste, ETP repeatedly contaminated waterways across Michigan, Ohio and West Virginia. One August 2017 analysis concluded that Rover had “racked up more environmental violations than other major interstate natural gas pipelines built in the last two years” – a total of 104 non-compliance incidents while the second highest company only had 26 non-compliance incidents. By March 2018, after only 13 months of construction, Rover had spilled more than 2.2 million gallons of drilling fluids, industrial waste and/or sediment, amassing more than 100 violations/non-compliance incidents and 4 stop work orders for their failure to comply with environmental regulations designed to protect streams, rivers wetlands, drinking water, historic sites and public safety (see BOX below for a selection of these violations, citations for these incidents are listed in Appendix C). Workers at a spill site on the Rover Pipeline in Stark County, Ohio. April 2017. Photo courtesy of the Ohio EPA. April 26, 2017: During a West Virginia DEP inspection, 7 violations are found related to Storm Water Pollution Prevention Plan (SWPPP) and stream sediment deposits. May 8, 2017: approx. 10,000 gallons of bentonite slurry released during a pipeline installation. The drilling fluids surfaced in a pond and stream in Monroe Township, Harrison County and affected water quality. May 10, 2017: FERC bans ETP from starting new horizontal directional drilling under waterways and roads. May 19, 2017: ETP acknowledges heavy rain causing pipeline trenches and work spaces to fill with water and spill onto fields of Ohio farmers. May 24, 2017: During a West Virginia DEP inspection, 6 violations are found related to Storm Water Pollution Prevention Plan (SWPPP), erosion control and stream sediment deposits. May 25, 2017: FERC rejects ETP request to resume drilling in Captina Creek and Middle Island Creek. June 2 & 6, 2017: During a West Virginia DEP inspection, 5 violations are found related to silt fences, erosion control and stream sediment deposits. July 2, 2017: 5,000 more gallons of drill slurry released into a Stark County area where the company was working on a five-foot borehole that would go under the Tuscarawas River. Work was already underway to deal with a previous spill in that area. July 3, 2017: 1,500 to 2,500 gallons of drilling mud took place at a nearby area ten feet from Tuscarawas River. July 7, 2017: Rover Pipeline LLC pays $1.5 million to the Ohio History Connection Foundation in an effort to mitigate harm after demolishing a building they had promised not to. July 12, 2017: During a West Virginia DEP inspection, 8 violations are found including sediment laden water depositing in nearby creeks and runs. July 13, 2017: FERC also issues a notice of violation claiming that ETP “did not fully and forthrightly disclose all relevant information” before demolishing a historic home. July 17, 2017: West Virginia’s DEP issues a cease-and-desist order to stop work in the WV segment of the pipeline. July 28, 2017: Pipeline drilling causes landslides in Jefferson County, Ohio. According to township trustees, it’s a result of drilling near old underground mines. July 31, 2017: Inspectors find failure to properly control erosion and incorrectly-installed sediment control devices in Hancock County, WV. August 3, 2017: Inspectors find failure to properly control erosion and incorrectly-installed sediment control devices in Marshall County, WV. September 26, 2017: Approximately 30 gallons of drilling fluids discharged into waters, wetlands in Washington Township, Belmont County, Ohio. October 11, 2017: Approx. 1200 gallons of drilling fluids discharged to waters, wetlands in Washington Township, Belmont County, Ohio. November 9, 2017: Approx. 60 gallons of drilling fluids discharged to waters, wetlands in Ashland Township, Ashland County. November 14, 2017: Approx. 30 gallons of drilling fluids discharged to waters, wetlands in Milton Township, Ashland County, Ohio. November 16, 2017: Approx. 200 gallons of drilling fluids discharged into Black Fork Mohican River in Milton Township, Ashland County. January 17, 2018: Rover Pipeline Spills Another 150,000 Gallons of Drilling Fluid Into Ohio Wetlands at same 4/14/2017 site. January 24, 2018: FERC again orders ETP to halt horizontal directional drilling under the Tuscarawas River in Ohio. February 21, 2018: Ohio EPA files a letter with FERC claiming the presence of toxic chemical tetrachloroethene at Rover’s underground drilling site at the Tuscarawas River in southern Stark County. March 5, 2018: West Virginia Department of Environmental Protection orders a second halt to construction after finding multiple water pollution violations. The Mariner East Project is designed to transport natural gas liquids from the same Utica and Marcellus shale production areas, this time eastward across Pennsylvania, including to the Marcus Hook terminal on the Delaware River. The first phase of the Mariner project began operations in 2014, while Mariner East 2 is scheduled to be completed in 2018. Construction of the pipeline has led to 108 “inadvertent” releases in numerous locations along the route, leading the Pennsylvania DEP to issue more than 40 violations, and several reports of private water wells being impacted by construction activities. Those spills have released a total of at least 200,000 gallons of drilling fluids and other liquids. The Mariner 1 and Mariner 2 pipelines have been shut down twice as a result of spills, violations, sink holes and contamination of drinking water and trout streams. On February 8, 2018 the Pennsylvania DEP and Sunoco executed a Consent Order and Agreement requiring the payment of a $12.6 million penalty and that Sunoco provide detailed plans to prevent future violations. It was one of the largest fines ever levied by the State of Pennsylvania for violations of environmental laws. Less than 30 days later, Mariner was shut down again in Pennsylvania due to problems during construction. On March 7, 2018, the Pennsylvania Public Utility Commission (PUC) issued an emergency order shutting down the Mariner 1 pipeline during construction of the adjacent Mariner 2 pipeline. The emergency order said that allowing the continued transport of hazardous liquids through the Mariner 1 pipeline “could have catastrophic results impacting the public.” The PUC estimated the pipeline would be shut down 10-14 days, possibly longer if ETP/Sunoco failed to address serious safety concerns that the pipeline could be “hazardous to life, property and the environment.” Among the safety issues that triggered the rare emergency shut down were the formation of three large sinkholes in a densely populated area defined by PHMSA as a “high consequence area”. One sinkhole was located 300 feet from rail lines carrying Amtrak and Septa passengers. Another sink hole was created 10 feet from the foundation of a house. Over the past several years, spills of crude oil and liquid petroleum products from pipelines have increased, reversing earlier improvements. This trend reached its maximum in 2015 with a total of 454 reported incidents, of which 176 were classified as significant by PHMSA. These numbers dropped slightly in 2017 to 404 reported incidents (153 significant) but remained at an elevated level compared to earlier years (see Figure 4). Similarly, a recent review by oil industry trade organizations found that pipeline incidents “impacting the public or environment” (IPE) have increased in the past 4 years. The key takeaway from these statistics is that despite industry rhetoric to the contrary, there is no failsafe way to transport fossil fuels. Industry safety initiatives and an overmatched regulatory agency have been unable to eliminate the risk of spills, which remain a direct and seemingly unavoidable consequence of oil and gas activity. PHMSA employs a mere 208 inspectors who, along with 345 state inspectors, are responsible “for regulating nearly 3,000 companies that operate 2.7 million miles of pipelines, 148 liquefied natural gas plants, and 7,571 hazardous liquid breakout tanks.” The oil industry also has one of the highest rates of severe workplace injury among its workers. Over the past decade, hazardous liquid pipeline spills in the U.S. have led to 16 fatalities, 30 injuries, $2.7 billion in costs, and over 825,000 total barrels spilled (34.7 million gallons, or around 9,500 gallons every day). Common causes of pipeline spills include equipment failures, corrosion, operator error, material or welding failures, and excavation damage. Significant pipeline spills in recent years include Enbridge’s 2010 spill into the Kalamazoo River, Exxon’s 2013 Pegasus pipeline spill in Mayflower, Arkansas, two spills into the Yellowstone River in 2011 and 2015, and the 2015 pipeline rupture that closed a Santa Barbara beach. These pipeline spills are in addition to spills from oil wells, disposal sites, and other oil and gas infrastructure, both onshore and offshore. Of total spills from all sources in 2015, a recent analysis found that 640 spills affected groundwater or surface water in some way. From 2007 to 2016, U.S. crude oil pipelines have averaged 0.001 significant incidents and 0.57 barrels spilled per year per mile of pipeline. 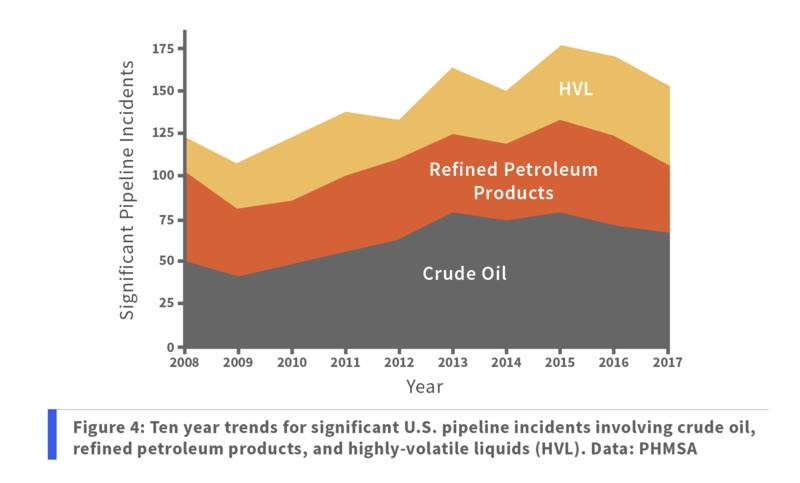 Refined petroleum product pipelines have averaged 0.0007 significant incidents and 0.24 barrels spilled per year per mile, and HVL pipelines have averaged 0.0005 significant incidents and 0.53 barrels spilled per year per mile. Oil and pipeline companies have devastated the Gulf coast and the Atchafalaya Basin, harming some of the most amazing ecosystems on Earth, putting millions of people at greater risk of flooding. The Bayou Bridge pipeline is a great example of what is wrong with pipeline construction in Louisiana. It will traverse over, under or through the Calcasieu River, Mermentau River, Vermilion River, Bayou Teche, West Atchafalaya Basin Levee, Atchafalaya River Basin and multiple bayous that provide unique habitat for many rare species. 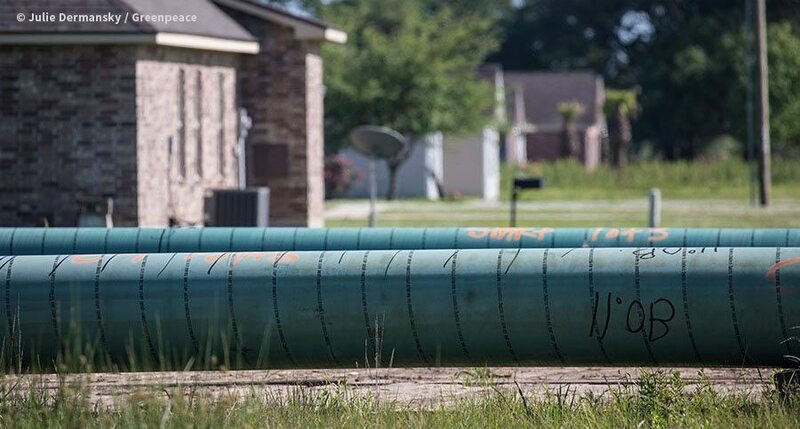 There is pending litigation arguing that the existing corridor being used to place the Bayou Bridge Pipeline is already out-of-compliance with permits issued for prior pipeline projects. 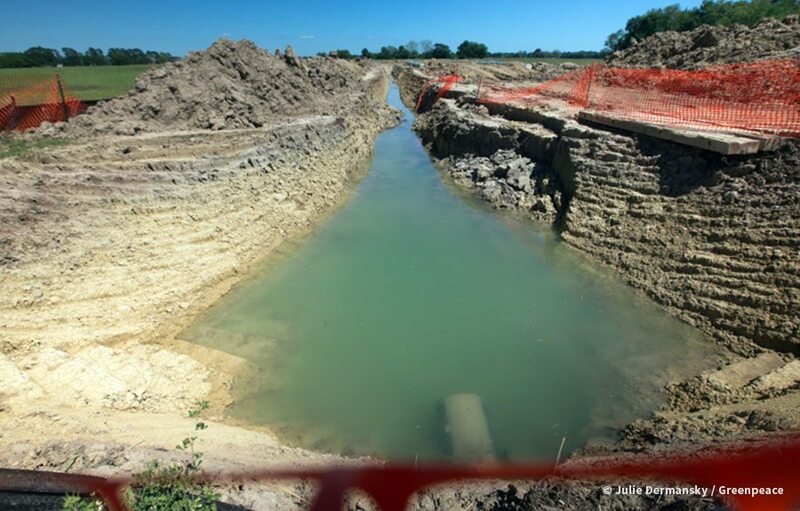 In the same litigation, opponents argue that another existing pipeline in the Atchafalaya Basin co-owned by Energy Transfer Partners is also out of compliance with a previously-issued permit. Disposal of dredged material during the construction of these earlier pipelines led to the creation of spoil banks which have been found to cause serious disturbances of water flow and impact the distribution of sediments in the Basin. Historically there has been little enforcement of permit violations. 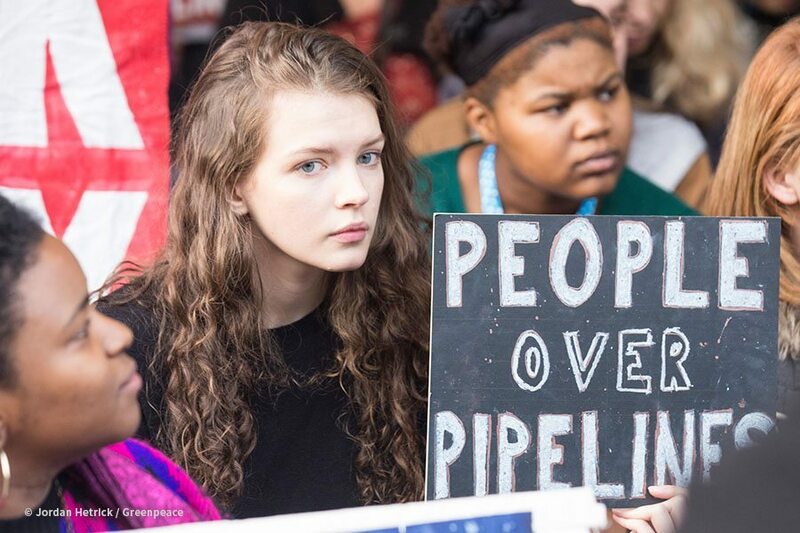 The Bayou Bridge pipeline is a joint venture between ETP and Phillips 66 (two of the participants in DAPL) that will transport up to 480,000 barrels of crude oil a day across Louisiana, from Nederland, Texas (the southern terminus of the Bakken pipeline) to refineries in St. James, Louisiana (about 50 miles up the Mississippi River from New Orleans). Phase I of the Bayou Bridge Pipeline, from Nederland, Texas to Lake Charles, Louisiana, is already operational. However, Phase II, the proposed 163-mile portion from Lake Charles to St. James, is under construction and multiple lawsuits have been filed to challenge the permits issued in 2017. As detailed in a U.S. Army Corps of Engineers Environmental Assessment, Bayou Bridge Pipeline LLC plans to use horizontal directional drilling (HDD) to run pipe under 8 federal projects and 14 federal easements (mostly crossings of rivers, waterways and levees). As is typical, PHMSA conducted a “worst case” analysis for spills occurring at those crossings, but details of that analysis have not been made public. Assuming the U.S. system-wide rate for significant crude oil spills of 0.001 per year per mile, we estimate that the Bayou Bridge Pipeline would suffer eight significant spills during a 50-year nominal lifetime. In February 2018, a federal court issued an injunction stopping construction while the court considers environmental challenges to the project. But that injunction was stayed by the 5th Circuit Court of Appeals in March with an expedited hearing on the injunction appeal scheduled before a merits panel on April 30, 2018. 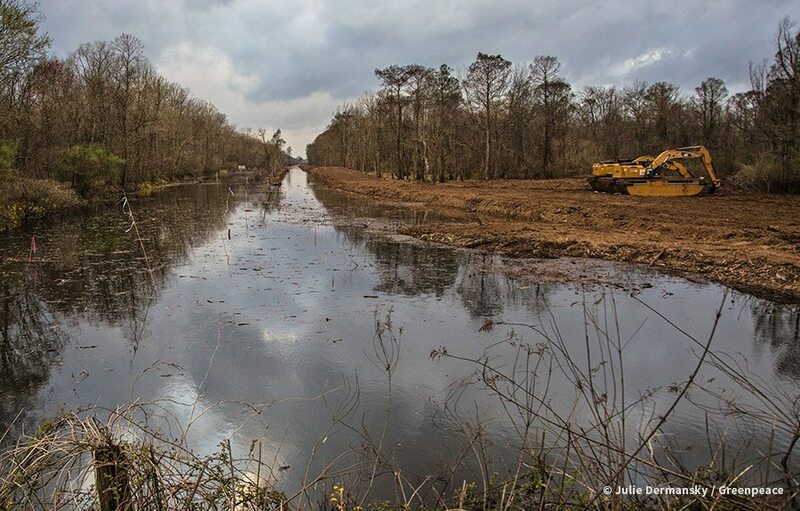 Bayou Bridge Pipeline began clearing for construction in the Atchafalaya Basin in January 2018. Despite the elevated annual rise of water in the Basin, Bayou Bridge intends to continue construction in the Basin during high water season. Construction during high water could exacerbate the damage to wetlands, channeling sediment-laden water into the interior swamps through pipeline canals, causing increased sedimentation and filling of wetlands which reduce their future capability to protect millions of people from Mississippi River floods. In late 2017, ETP brought its Permian Express 3 pipeline online, transporting crude oil from the Permian basin (a major oil and gas producing basin located in West Texas and parts of New Mexico) to facilities in Nederland, Texas, and is “aggressively” evaluating a further expansion of that line. Greenpeace USA and Waterkeeper Alliance are grateful to the following organizations for endorsing this report, and for their continued action in defense of water and the communities that depend on it. 1. Interactive map shows a total of 517 incidents due to 10 incidents in the PHMSA data with missing or unusable geolocation data. Shapefiles of the U.S. crude oil, petroleum product, and natural gas liquids pipeline network are compiled by the U.S. Energy Information Administration (EIA) [link]. 12. This quantity excludes a small number of biofuels and CO2 incidents. For this report we consider hazardous liquids spills from crude oil, refined petroleum products, and HVL pipelines. PHMSA reporting requirements changed in 2010, and this analysis merges PHMSA’s 2002-2009 and 2010-present datasets. 13. ETP or Sunoco must hold at least a 25% stake in a joint venture for it to be included in this analysis. 28. PHMSA classifies together highly-volatile liquids (HVL) or other flammable or toxic fluids which are a gas at ambient conditions (i.e. when spilled). Examples include ethane, propane and butylene. 41. Delaware County Daily Times. 2010. Editorial: Penalty for Sunoco has a foul smell. January 6. [link]. Quoted in NWF 2010. 58. PHMSA. Pipeline Incident 20 Year Trends. 76. Bayou Bridge Pipeline, LLC’s Reply in Support of Emergency Motion for Stay Pending Appeal, at 1-2 (discussing water level influence on construction) filed on Mar. 6, 2018, Case No. 18-30257, Fifth Cir. Court of Appeals. 77. Declaration of Dr. Ivor van Heerden, at Paragraph 4. Written by Tim Donaghy of Greenpeace USA and Donna Lisenby of Waterkeeper Alliance. For more information regarding this report, please contact Tim Donaghy.